Thirty-five centuries ago, this area was inhabited by a volcano, whose summit now emerges from the water to form the famous island of Nea Kameni. The intense volcanic activity in the region resulted in the formation of a circular island, which was named Strongýlē. It was inhabited from the fifth millennium BC, but had its heyday during the Bronze Age, around 1550 BC. However, during the sixteenth century BC, the region suffered a series of earthquakes that awoke the volcano and instilled fear in the population. It is believed that the growing fear led the inhabitants to flee the island shortly before disaster struck: an explosion of unprecedented force, which took place between 1627 and 1628 BC and destroyed most of the island. The volcano eruption was so massive that it destroyed almost everything and caused a tsunami that hit the Eastern Mediterranean, causing a serious crisis in the Minoan civilisation on the island of Crete. The Phoenicians were the first to return to the area after the disaster, followed by a group of Dorians from Sparta. 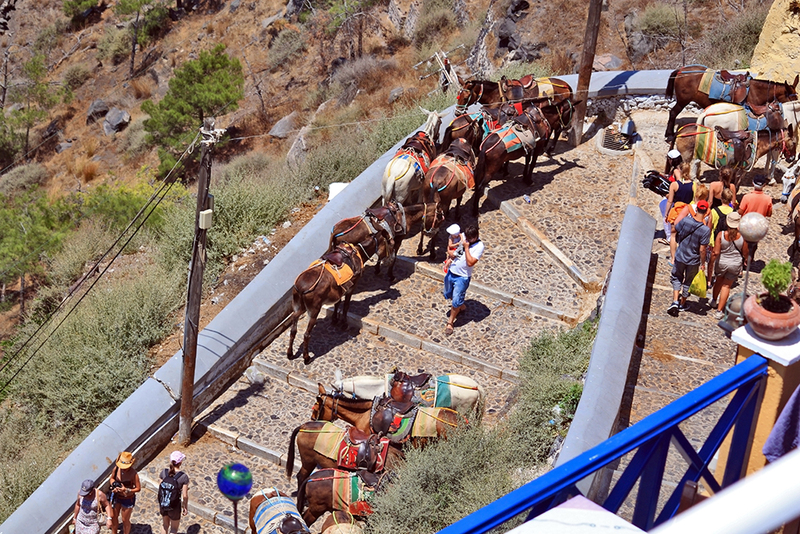 This group was led by King Theras, who gave his name to the city that was built on the island and today forms the island's nerve centre and capital: Fira. Over the years, rule of the island passed from the Delian League to the Ptolemaic kingdom of Egypt, Rome, and finally the Byzantine Empire. From 1204 until 1579 it was under the rule of the Venetian Republic and then fell under Ottoman rule. Finally in 1840, with the Treaty of London, it joined Greece. For 100 years, until roughly the mid-nineteenth century, the island underwent a period of wealth as a result of maritime trade. 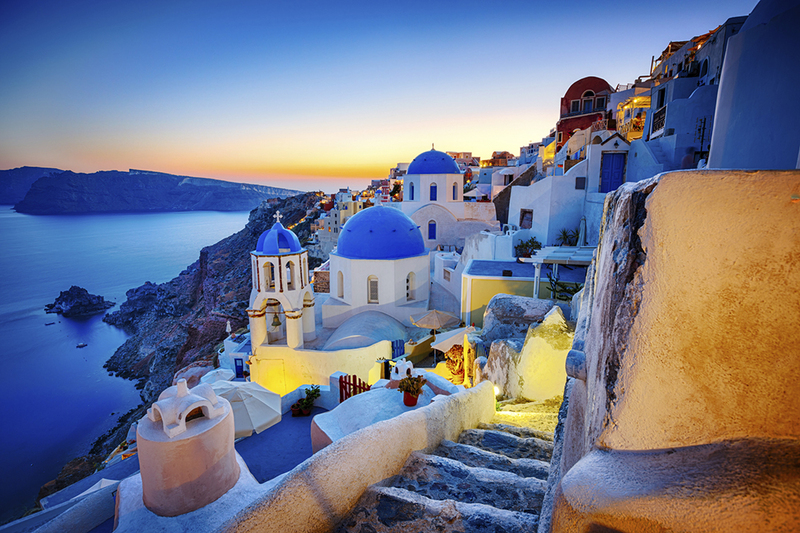 However, the eruption of 1950, followed by a major earthquake in 1956 that destroyed many of the villages, was a severe blow to Santorini. 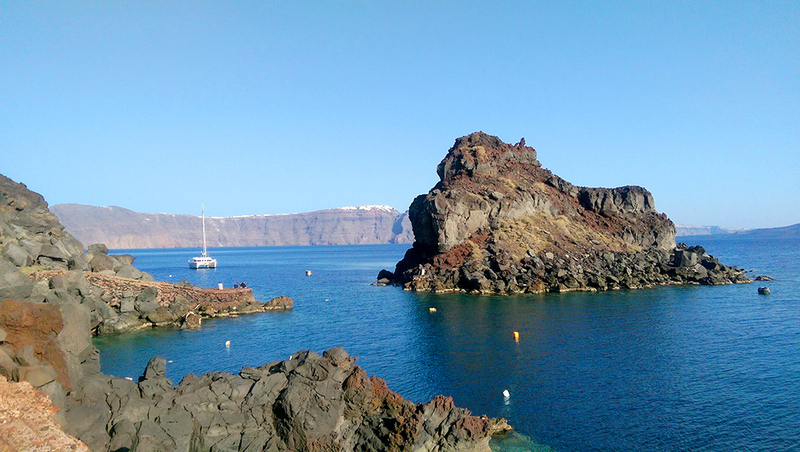 Santorini did not start to recover until the mid-70s. It invested heavily in tourism and successfully turned the island into the popular destination you see today.